Aloe Arborescens is a safe and non-toxic food supplement obtained by mixing whole Aloe Arborescens leaves, freshly picked from the plant, with pure Agave juice and a small quantity of marc distillate (alcohol made from grapeseed). AloeArborescens is produced by scrupulously following an original Brazilian recipe. The plants are organically cultivated and are certified by the Mediterranean Certification Institute (M.C.I). It is an excellent cleanser and re-energiser for the body. Traditionally it has been used to treat a wide variety of symptoms ranging from acidity of the stomach and poor appetite, to coughs, menstrual irregularities, excema and enhancing sexual performance in men. Recent clinical studies have also validated the use of Aloe Arborescens as an anti cancer remedy through encouraging blood circulation to malignant tumour cells. It has also been suggested that the blood depurative effects of Aloe can potentially benefit those suffering from 'hangovers'. 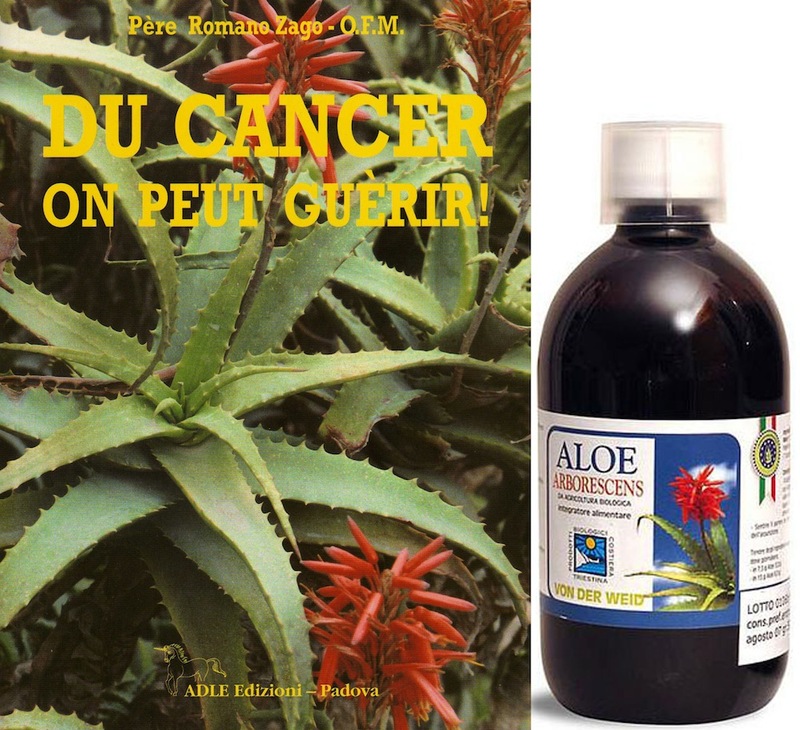 'Cancer can be cured' by Father Romano Zago is an interesting anecdotal compilation on the uses of Aloe Arborescens. Father Romano Zago has dedicated his life to the treatment of cancer patients.